A major portion of its charm is due to its diminutive stature, which is friendly to new riders, offers nimble handling and is an absolute blast. 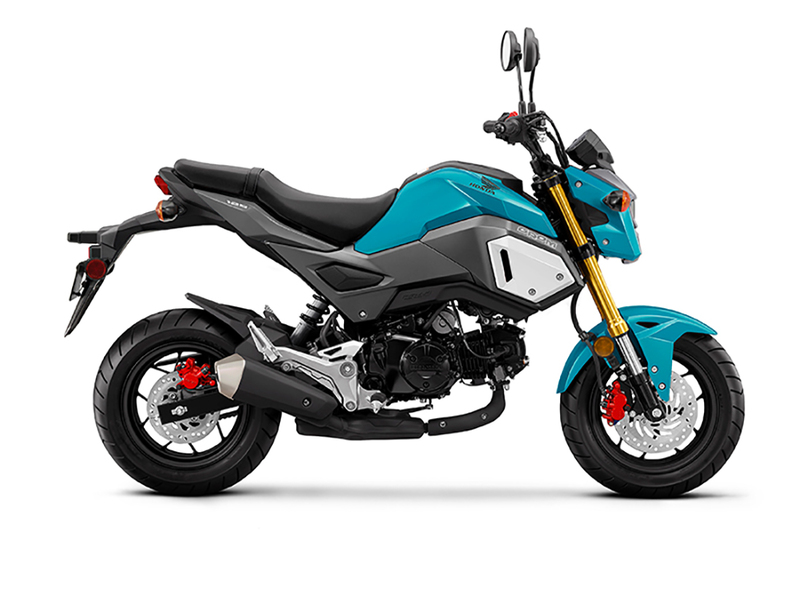 The pint-size Grom's lightweight feel and peppy power band contribute to its broad appeal, while the big-bike-inspired styling turns heads in every environment. Programmed Fuel Injection (PGM-FI) offers excellent throttle response over a wide range of riding conditions by continuously monitoring several variables to ensure the correct fuel mixture for the existing riding and atmospheric conditions. The four-speed gearbox is managed via a manual clutch and offers smooth and consistent gear changes. Telescopic inverted 31mm front fork, like a full-size motorcycle, delivers 3.9 inches of travel. Steel box-section rear swingarm and a sturdy single shock yield 4.1 inches of comfortable rear-wheel travel. Single front 220mm disc with hydraulic dual-piston calliper and single rear 190mm disc with hydraulic single-piston calliper deliver strong stopping power. Ideal for learner riders, the GROM is LAMS approved (learner approved). 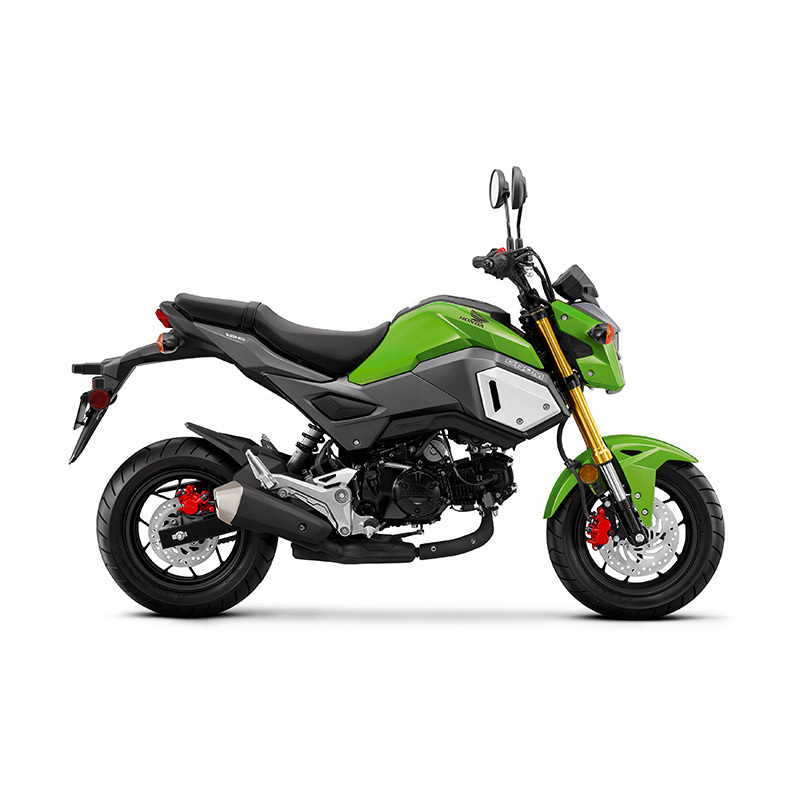 Perfect for learner riders, the GROM is LAMS approved. Please consult your local authority before purchasing a motorcycle for learner use. Honda reserves the right to alter specifications and features without notice. Images shown are overseas models any accessories are not included and are for illustration purposes only.